We’ve Got The Toyota Parts You Need! 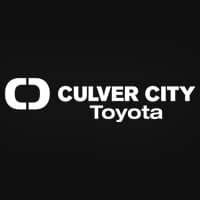 The Parts Department at Culver City Toyota maintains a comprehensive inventory of high quality genuine OEM parts. Our goal is to give you an unsurpassed experience. Our highly knowledgeable staff is here to answer your parts questions and concerns. If we don’t carry a part that you’re looking for, we can always order it for you. We’ll make sure you get it in a timely manner, at a price that works for you! Our parts specialists are ready and waiting to help you make sure your dream car, stays running perfectly. Whether you’re rebuilding your Toyota from scratch, or don’t know the difference between the tire and the steering wheel, we’re here to help you! Come to Culver City Toyota and get all of your parts needs met, and even exceeded!